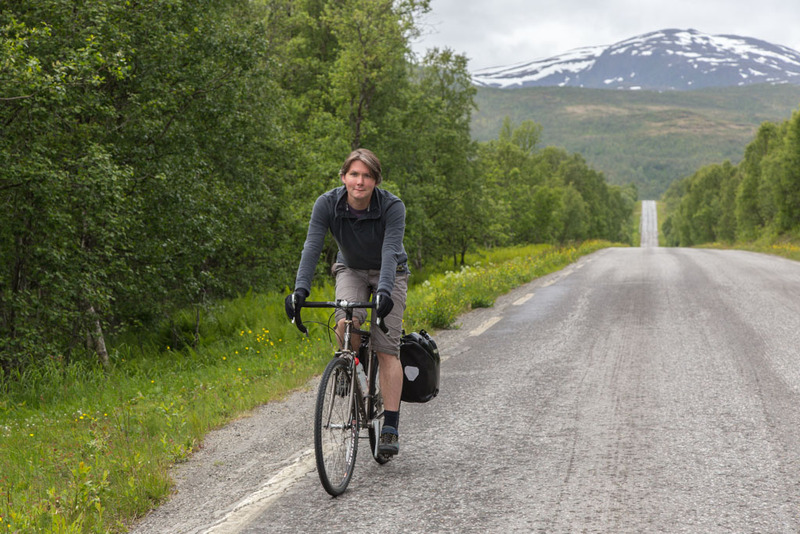 Tromsø to Finnsnes – by bike! I also finally installed a carrier on my mountain bike, and I bought a set of panniers. 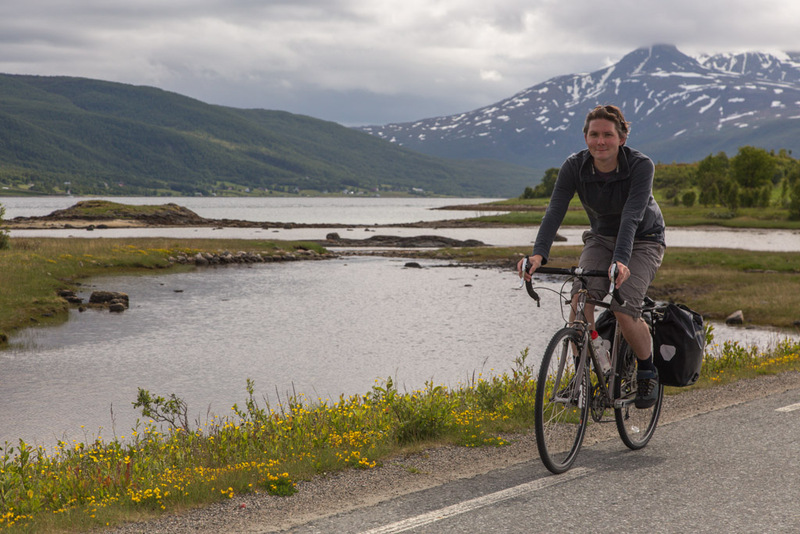 The weather looked ok for the weekend, so a plan was quickly made: we were going to cycle to Finnsnes! 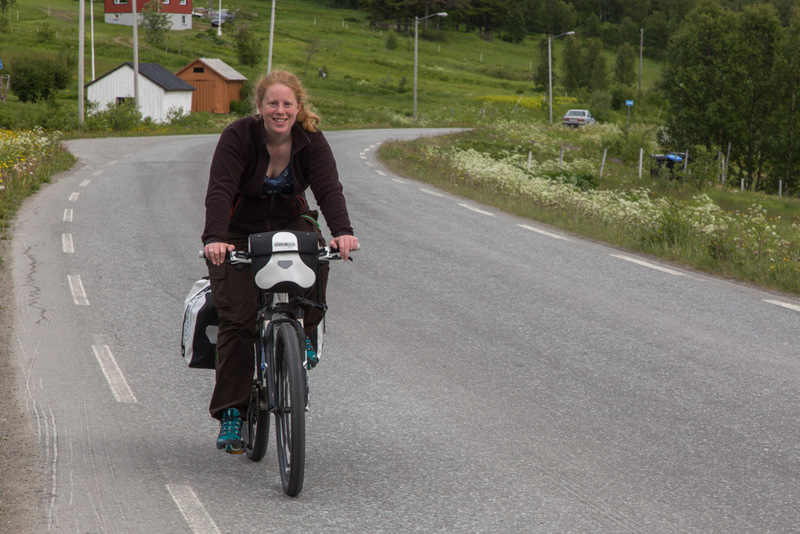 We left on Saturday morning, and cycled towards Sommarøy. 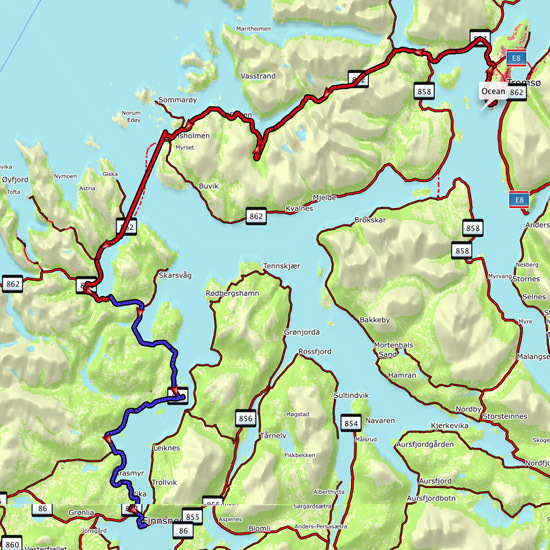 Here is a map, with our route for day 1 in red, and for day 2 in blue. 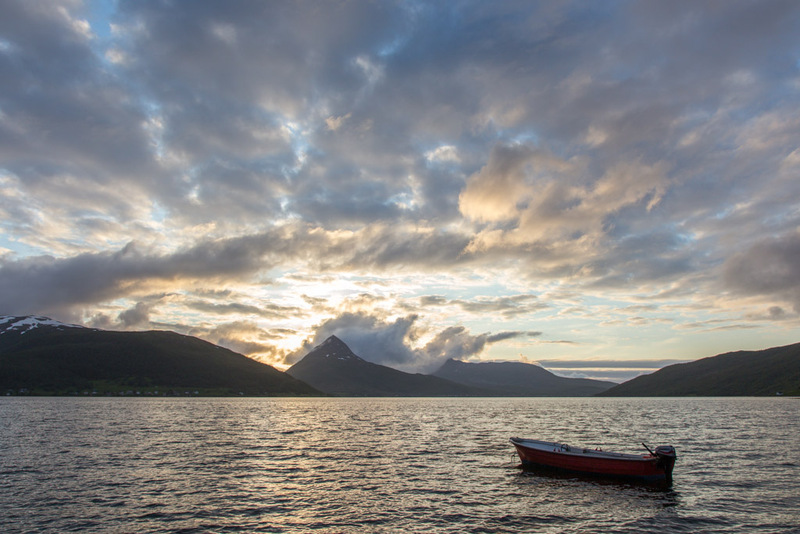 We cycled to Brensholmen, and took the ferry across to Botnhamn on Senja. Guess what happens when two people who’ve been cycling all day in grey/windy/rainy/cold weather get inside a warm ferry that makes gentle rocking movements?? ZzZzzZzzz…. 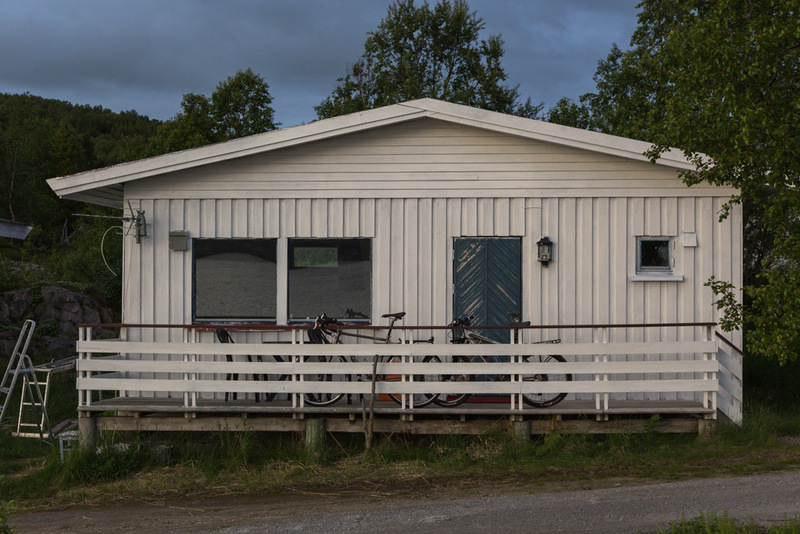 From Botnhamn it was about an hour to our destination for the day: Fjordbotn Camping. 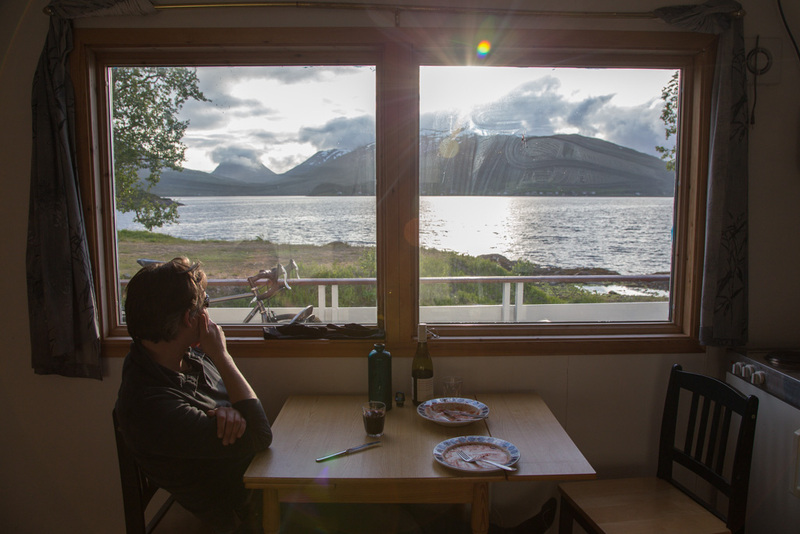 A great location, and a fantastic view from our cabin – but we did think the campsite was messy and that our cabin was really expensive for what it was (we paid 800 kr for a very worn cabin with a kitchenette and bathroom, without bedding or towels!). 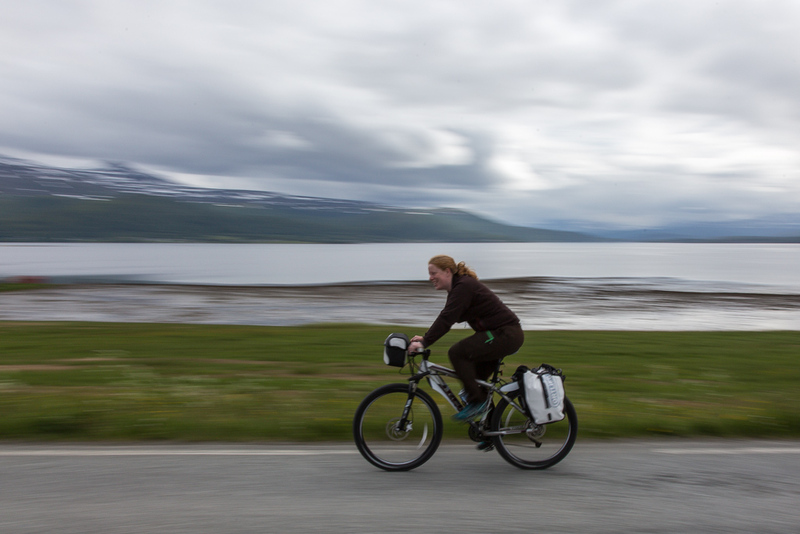 Total distance for the day: 57 km from Tromsø to the ferry, 12 from the ferry to the campsite, making a total of 69. We were really hoping to wake up to a sunny day, but unfortunately it was even worse than the day before. The weather forecast called for “mainly dry” but the first part of our day was “mainly wet” 😉 Still, it was a pretty ride along quiet roads, with nice views of the coast.